Summer is all about bold colors and prints. Mixing in prints into your work week look can be a fun way to shake things up. 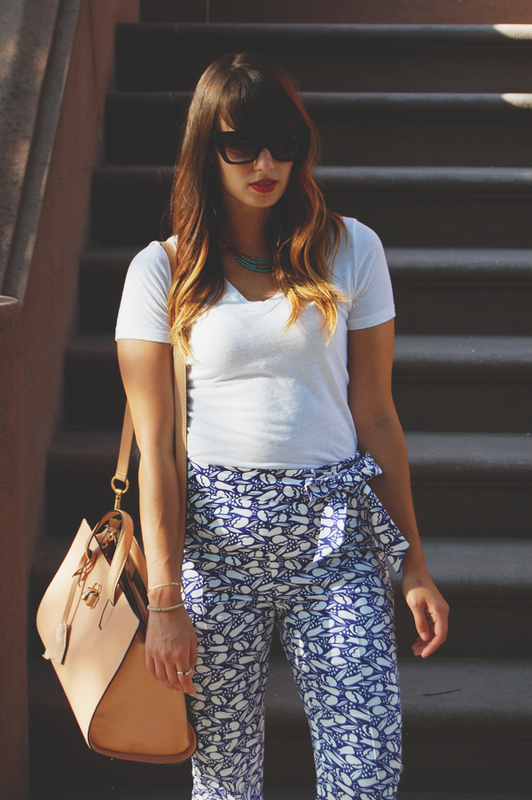 Take a pair of printed pants and pair it up with simple pieces, like a white tee, to keep the look clean. Do a low heel sandal and basic jewelry, you don't want your accessories to fight against your pants. Neutral tones will keep your look cohesive and pulled together. You don't need to pay a lot for this look. The printed pants trend is big for the summer and now is the time to dive in to some of those summer deals. I got these printed pants from Zara on sale! The printed pant can easily be taken from work day to date night. Change out your low sandals for strappy pair of heels and a elegant clutch. If you're afraid of this trend start with a print that is two toned like these Zara pants. They are bold but not overly done in color. Also look for cropped pants, these can seem less intimidating since there is less material to work with. Would you wear the print pants to the office? Love these trousers! Such a pretty look! The bag is a must have! LOVE those printed pants!!! AMAZZZZING!!! Soo summery and perfection! 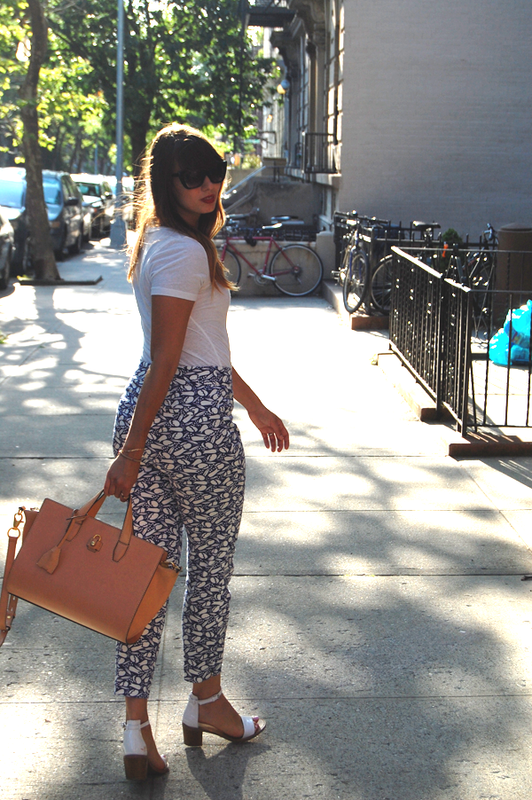 And I've seen many renditions of the printed pant trend, but yours by far has got to be one of my favorites. Relaxed and casual, yet polished. You always did make it look so easy!